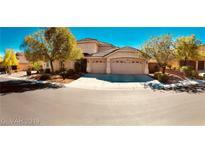 Below you can view all the homes for sale in the Spanish Springs subdivision located in Las Vegas Nevada. Listings in Spanish Springs are updated daily from data we receive from the Las Vegas multiple listing service. To learn more about any of these homes or to receive custom notifications when a new property is listed for sale in Spanish Springs, give us a call at 702-930-8014. BEDROOM w/FULL BATH DOWNSTAIRS! CUL-DE-SAC! GATED COMMUNITY! MLS#2087990. Simply Vegas. 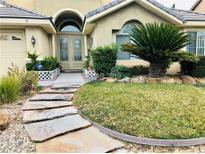 Large Backyard Equipped With Sparkling Pool.Lease Buyout-30 Day Move-in MLS#2069937. Turn Key Property Solutions. Neutral Colors...Dual Master Suites...Lot over 14,000 sq ft. Three Car Garage...Large area on side of house with RV Gate...Easy to show... MLS#2067802. Las Vegas Valley Realty, Inc. This is a short sale and need to see to appreciate. MLS#1978407. Realty ONE Group, Inc.